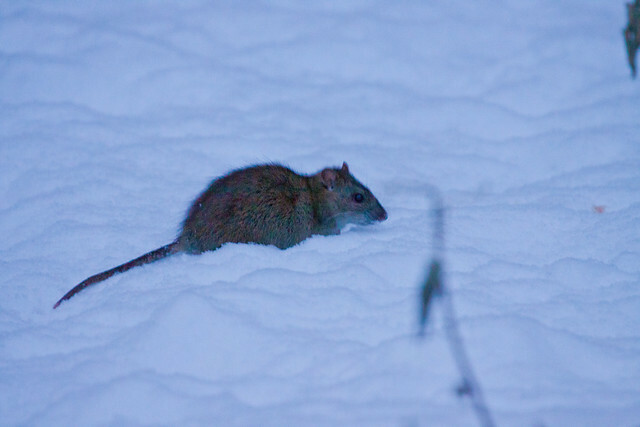 Rats and mice pose serious hazards to wildlife and humans. On Hawaii and other islands where rats have been introduced, they’ve brought populations and even whole species to the verge of extinction. On Gough Island, in the Atlantic between the southern tip of Africa and South America, introduced mice have learned how to attack and kill Tristan Albatross chicks that are 200 times their size. Researchers discovered in 2005 that a shocking 80 percent of the chicks were being lost, primarily due to these mouse attacks. Also, fleas carried by rodents may harbor diseases. Rats and mice, like the humans they have evolved with, are intelligent and adaptable, but except when they are kept for research purposes or as pets, they pose a threat to humans and native wildlife. We need to control problem rodents, but we must take precautions so that our methods don’t hurt birds, other wildlife, or human beings, causing even greater problems. Pesticides registered for rats and other mammals are extraordinarily toxic to humans, birds, and all other wildlife. Many rat poisons are anticlotting agents that remain toxic in the tissues of dead and dying rats. Poisoned rodents can be picked up by pets or taken by predators and scavengers, which in turn ingest the toxins. 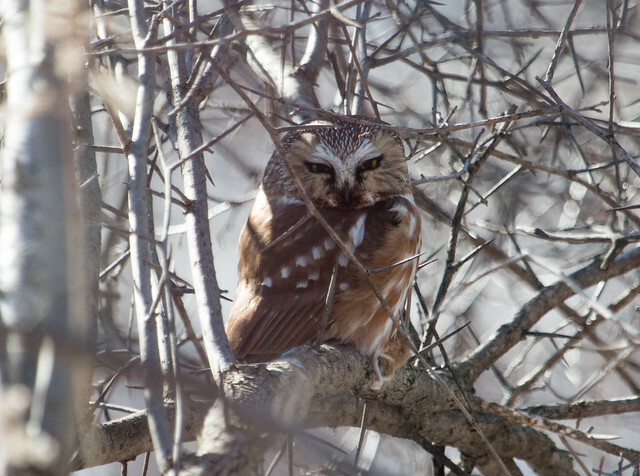 At sublethal levels, this secondary poisoning may not immediately kill a hawk or an eagle, but since these birds often receive minor cuts and scrapes during their hunting activities, they can still “bleed out” with even low levels of anticoagulant rat poisons in their systems. 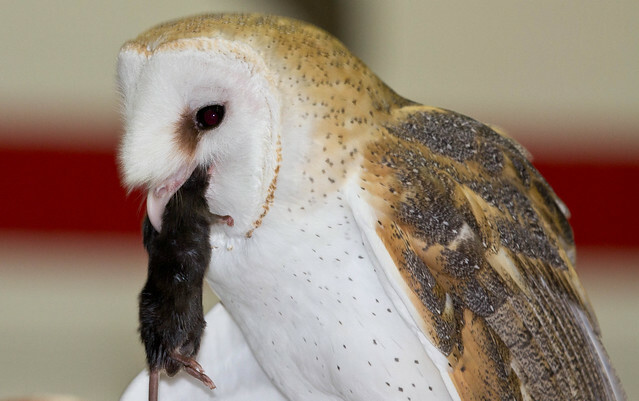 And because rats breed quickly, causing major infestations, the large number of poisoned animals at a site increases the likelihood that hawks will eat several affected rats, ingesting enough poison to kill the raptors. At times, rat or mouse infestations may become so dangerous that professional exterminators must be called in. But the extraordinarily dangerous pesticides they use should be considered the last resort when rodents care causing demonstrable, significant, genuinely dangerous health or ecological problems. Every effort must be made to set the bait where it will not be discovered or taken by other animals and to quickly remove dead and dying rats before predators or scavengers can find them. Rat poisons are cruel—death is slow and painful—so for humane reasons, too, they should not be used except in extraordinary situations where human health or the survival of an ecosystem is at risk. How can we keep the number of rodents down without using such drastic measures? In most situations, sealing off food and nesting sites and maintaining healthy populations of natural predators are the safest and wisest long-term defenses. Where grain is stored, rat poisons are a temporary and dangerous solution; it is better to focus on denying them access to the food in the first place. Never use Tanglefoot or other sticky pest control formulas outdoors. 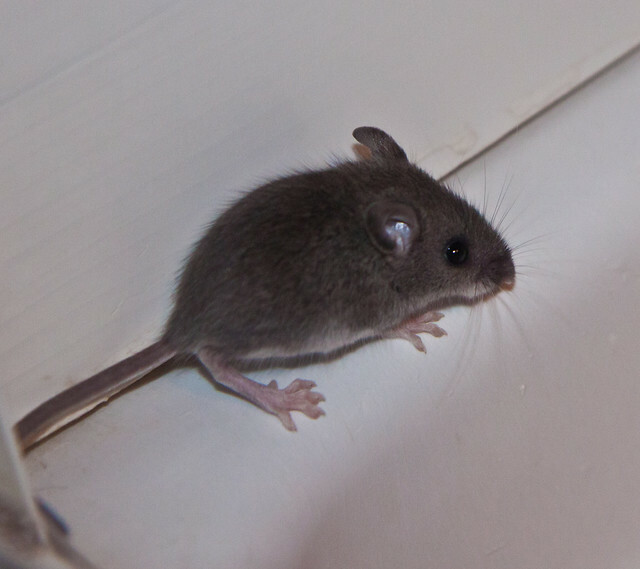 If you must use them indoors, be prepared for a traumatic experience for yourself as well as your target pest. Rats and mice make surprisingly loud distress calls when desperate; they may gnaw off feet that are stuck in these products, and if their bellies get stuck, they may struggle so hard that they are disemboweled. Many of us have trouble directly killing a mouse or rat, for reasons ranging from squeamishness to moral repugnance. Snap traps are no more cruel than other methods and, when set indoors, are far less likely than poisons to hurt children, wildlife, and pets. It’s best to affix snap traps to something heavy so a trapped rat or mouse doesn’t drag itself to an inaccessible place, lengthening its suffering and presenting you with another unpleasant problem. People who maintain bird feeding stations must not subsidize rats and mice. Minimize the amount of spilled seed that sits overnight at feeding stations, and never offer bread to birds—it has minimal nutritional value for native birds and is an open invitation to rats and mice. Metal bins are best, because rodents can’t chew their way in. And if you do notice a rat at your bird feeding station, close down shop for at least a week.